When I was asked to review this book, I wasnât entirely sure what to expect. I confess that I havenât read many annotated books, since my preference is to simply experience the story for myself and move on rather than to analyze and deconstruct. However, my other reservation came from the fact that Joseph Sheridan LeFanuâs Carmilla is not a particular favorite of mine. I read it once and enjoyed it for what it was, much like Stokerâs Dracula, but Iâve never felt particularly drawn to revisit it. I know many vampire enthusiasts who have read and re-read these classics and can discuss their particulars for hours. 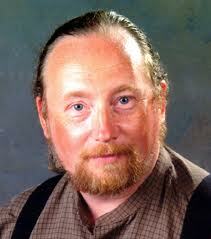 Thatâs not me. So, that said, I wasnât sure how much I was going to enjoy this book. 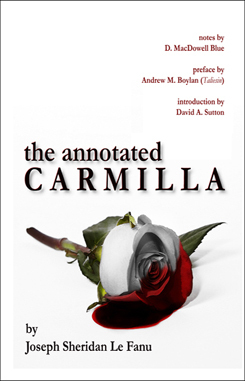 The Annotated Carmilla, however, surprised me with both its readability and enjoyability. As author David MacDowell Blue (a familiar figure to readers of this site) states in his introduction, this does not presume to be the definitive scholarly volume on this much-examined story, it is âthe work of a devoted amateur.â Rather than seeing this as a weakness, I found I much preferred Blueâs frank but enthusiastic commentary to the dry, literary analysis I had feared. 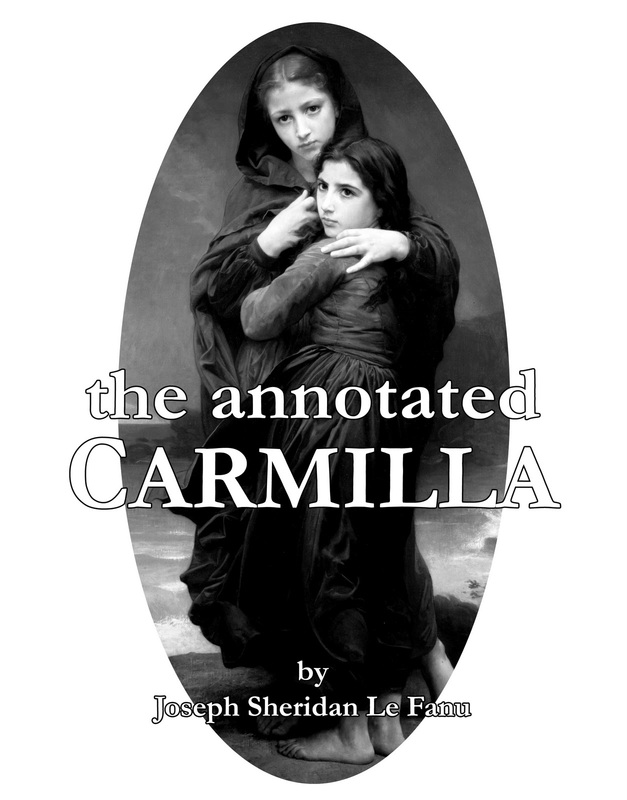 The Annotated Carmilla is informative without being tedious, illuminating without being condescending, and completely relatable to the modern reader. I found the over-all experience rather like watching an old Universal film on DVD with an enjoyable commentary track. I was able to re-experience the story through the lens of greater experience than on my first reading and the copious footnotes served to enhance my enjoyment and appreciation for LeFanuâs ground-breaking tale rather than intrude. Mr. Blue provided clear and concise explanations for elements of the story that might have baffled me otherwise along with clarifying words and turns of phrase whose meanings have changed since LeFanuâs time. Most impressively, however, he sheds light on some of the plot points that the author seemed to have intentionally or accidently left vague, providing his own very sensible opinions while still leaving readers to their own. With the inclusion of a very insightful Preface by Andrew M. Boylan (Taleisin Meets The Vampires) and an essay entitled âAny More Ghost Stories For Meâ¦?â by award-winning editor and author David A. Sutton, there is a bounty of information and background here. I should also mention the fantastic choice of illustrations included in the volume that make this book not only a good read, but also a handsome-looking volume as well. This is a must-read for both casual vampire fans as well as literary enthusiasts and a book I highly recommend! Let The Right One In Redux!